Buying a house is often described as one of life’s most stressful events. Complex-looking legal documents, huge amounts of money changing hands and fierce bidding wars can make the process seem daunting. However, there are many standard procedures in place for buyers, sellers and their solicitors to follow. Familiarising yourself with the ins and outs of buying a house can help take the headache out of your big move. Wherever in Scotland you are looking to buy property (Glasgow, Aberdeen, Edinburgh, Paisley, Dundee, Dumfries, Perth, Ayrshire, Inverness, Kirkcaldy or elsewhere), our comprehensive and clear legal guide to conveyancing will explain everything you need to know. And If you require an expert local Scottish conveyancing solicitor contact us here or call us on 01415529193 today. We only recommend the best and most cost-effective conveyancing lawyers in Scotland. buying a house in Scotland. What does this guide Cover? What Questions Does This Answer? What costs are involved in buying a house? Do I need to get my own survey? How do I make an offer on a house? 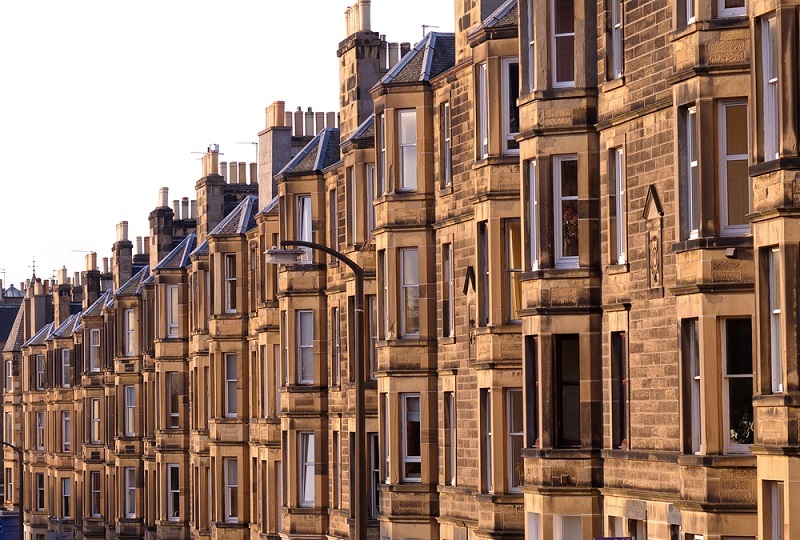 What are the differences between buying a house in Scotland and in England? What help is available for getting a mortgage? Most houses for sale will either be advertised by an estate agent, a solicitor’s property centre, on an online property portal or through a developer if it is a new build. Alternatively, you can find homes and other kinds of property for sale at an auction or simply by word of mouth where it has not been marketed at all. Depending on where you live, house prices can vary dramatically. For example, East Renfrewshire has one of the highest average selling prices in Scotland, while the Western Isles has one of the lowest. To get a feel for house prices in your chosen area, you can search sold house prices on the Registers of Scotland website (www.ros.gov.uk/shp_info.html ). You should take this into account when making your offer. Home buyers must pay Stamp Duty Land Tax (SDLT) to the government. You do not need to pay tax on properties sold for less than £125,000. For properties between £125,000 and £250,000 the rate is 1% of the price; from £250,000 to £500,000 it is 3%; all the way up to 7% for properties costing more than £2million. The tax is paid to HMRC by the buyer’s solicitor at the time of settlement. In the past, buyers had to arrange and pay for their own survey for each house they were interested in. These could cost several hundred pounds each. This has changed and the onus is now on the seller. Now, if you are selling a house in Scotland you must have a ‘home report’ prepared by a surveyor before marketing the property. Potential buyers no longer have to arrange or pay for surveys (although they may choose to have a separate survey done) and only one survey per property is needed. This contains the surveyor’s assessment of the condition of the property, a valuation and an accessibility audit for people with particular needs. This contains the surveyor’s assessment of the energy efficiency of the home and its environmental impact (including an Energy Performance Certificate). It also recommends ways to improve the energy efficiency of the property. This gives other details about the property including council tax band, parking facilities, factoring arrangements, relevant local authority notices and alterations made to the home. The home report is crucial in deciding whether to buy a particular house. It highlights any problems that need repaired and generally assesses the structural integrity and quality of the building inside and out. The surveyor decides on a value for the property by taking into account the results of their inspection and current activity in the local property market. This value should be used as a guide or starting point for both the seller and buyer when agreeing a price. Valuation is not an exact science and the actual price a house might fetch always depends, to some extent, on how much a particular buyer is willing to pay to secure it. The surveyor completing the report has a legal duty towards both the seller and the buyer to write an accurate report and can be held liable for losses arising as a result of errors. Potential buyers may decide to have their own survey carried out in addition to the home report, possibly because they want a more detailed assessment, or if their mortgage lender requires it. This should be done before making an offer. Buyers can make an offer ‘subject to survey’ but sellers may be reluctant to accept an offer on that basis. The buyer’s solicitor can advise them on the price and other matters that might affect their decision to buy the property, including local market conditions and trends and the prices which comparable local houses have fetched. If you are interested in a property but not at the stage of making an offer, you can instruct your solicitor to note your interest with the seller. This lets the seller know that you might make an offer so they can tell you if they set a ‘closing date’ (see below). If a number of people show interest in a property, the seller may set a date which all offers need to be made by. They can then accept the highest offer. This is not the same as an auction, because bidders will have no knowledge of the other bids. The buyer will need to bear all these factors in mind when instructing their solicitor to make an offer. An offer to buy can be accepted relatively informally, even verbally. It is not binding at this point. Usually, the buyer’s solicitor then sends the offer in writing to the seller’s solicitor, who responds with a ‘qualified acceptance’ (a detailed document which basically says they accept the offer but only if certain conditions are met). These conditions are normally quite lengthy and may be designed to work in the seller’s favour. After consulting their client about the terms of the qualified acceptance, the buyer’s solicitor then edits the document to make it more favourable to the buyer, and sends the edited version back to the seller’s solicitor. This can continue back and forth until the seller agrees the terms and the final version is signed. The completed documents are called ‘missives’ and, once signed, they are a binding legal contract between the buyer and seller. The buyer must pay for and become the owner of the house, and do everything else agreed in the missives. The seller must allow ownership of the house to transfer to the buyer and allow them to move into it on the agreed date, and do everything else stated in the missives. Should either party withdraw or break the terms of the contract in some significant way, the other party can sue them for any losses incurred. The buyer’s solicitor needs to check that the seller has a good title to the property (i.e. that they really own it and no-one else has any rights that could prevent a sale, such as a spouse with occupancy rights) and that the boundaries match those in the description given by the seller. To check the title for most Scottish properties, a solicitor will examine the records held by the Registers of Scotland. A property’s Land Certificate shows who the owner is and also includes details of any debts secured against it, along with details of title conditions (see below) and a plan of the property. The current system of land registration is that the owner of a property is simply whoever the Land Certificate says is it is. People often refer to the Land Certificate as the ‘deeds’. Ownership of property comes with conditions called burdens and servitudes which affect the owner’s freedom to use the property as they wish. Common examples are servitudes granting a neighbour access along a shared drive or lane to get to their property, or burdens restricting the use of a property (for example, by prohibiting its use as a guest house). The buyer’s solicitor should inform their client about all the title conditions before missives are concluded. Title conditions can be very old and complex, and may not be in use anymore. For example, they may feature a time limit which has expired, or the issue they were intended to control is no longer relevant. If an owner breaks the terms of a title condition, other people who have some kind of right under it (neighbours) can seek to enforce it through the court. They may choose not to, or they may not even know about the title condition. They may be unsuccessful at court if they have not suffered any financial loss. This is a complex area of property law, and rights can even change over time depending on whether those who have them actually use them. Standard Security is the correct Scottish legal term for a mortgage. It does not technically refer to the loan received from the lender, but is instead the name for the security that the owner grants to secure the debt. Any of the owner’s debt can be secured against the property and, if he or she doesn’t repay the debt, their creditor can ask a court to give them ownership of the property so they can sell it to recover as much of the debt as possible. As part of the purchase process, the buyer’s solicitor needs to ensure that the buyer either has funds of their own to pay for the house, or has a mortgage loan agreed before missives are concluded. The solicitor will deal directly with the buyer’s chosen lender to have the mortgage fully agreed and funds ready to transfer in time for settlement (see below). The buyer’s solicitor must also check that the house and any alterations or extensions have been completed with the appropriate planning permission. Sometimes it is necessary to get the local authority planning department to agree that they will not take action on works that have been carried out without permission. The buyer’s solicitor will also prepare the documents for the Registers of Scotland to have the buyer entered as the new owner of the property and the seller’s Standard Security removed from the title. The buyer’s Standard Security, if they have one, also needs to be added to the title. It is the job of the buyer’s solicitor to prepare the disposition, the legal document that transfers ownership of the house from seller to buyer. You need a Scottish solicitor to carry out the legal process of buying property in Scotland (conveyancing). Some council and registered social landlord tenants have the legal right to buy the home they rent at a reduced price. Eligibility for the Right to Buy scheme ended on 2 March 2011 and tenancies that began after this date do not qualify. There are numerous other restrictions on the right to buy and you can find further details on the Scottish Government website. The scheme is expected to be abolished in 2017. Scotland has a separate Help to Buy scheme from the one in England. It is available to all buyers of new build homes up to a maximum price of £400,000 and can contribute up to 20% of the cost of a home. The buyer needs to pay a 5% deposit and be able to borrow at least a further 75% of the cost of the home under a repayment mortgage. The remainder is paid by the Scottish Government, which will have a separate Standard Security over the property. The buyer has full ownership of the property. The money supplied by the Government gives them what is known as an ‘equity stake’. The buyer can then buy the Scottish Government’s equity stake in instalments, or in full at a later date. There is, however, no requirement to buy the equity stake before the home is sold again. When it is sold, the Scottish Government is repaid from the proceeds of the sale. To apply to the Help to Buy scheme you need to find a participating developer, and then speak to an independent financial advisor who can put you in touch with an agent who administers the scheme. An application is made to the agent, who decides whether you are eligible. If you are eligible, you will receive an ‘authority to proceed’ from the agent and you can then move forward with the mortgage application. The purchase process will need to be dealt with by a solicitor. If you require a great local conveyancing service in Scotland, contact us today. We only recommend the best and most cost-effective local conveyancing lawyers (whether you're based in Glasgow, Edinburgh, Aberdeen, Paisley, Dundee, Perth or elsewhere in Scotland) - get in touch with us hereor call us on 01415529193.